Anesthesiologists have long been the champions of anesthesia patient safety. Before doctors were willing to admit concerns about medical errors and safety of their patients, anesthesiologists were the first to admit that doctors were not infallible. As such, anesthesiologists were the first specialty to make a major impact on medicine by putting safety first. Anesthesia in the hospital went from being a risky procedure to one of the safest. Today, there are growing concerns regarding the safety of sedation and anesthesia in dental offices. These concerns are well deserved given the increasingly public news of sedation & anesthesia harming patients in the past decade. It is time that dentistry also recognize the need for improvement in anesthesia patient safety. The Anesthesia Patient Safety Foundation (APSF) is a nonprofit organization. The vision of the Anesthesia Patient Safety Foundation is that no patient shall be harmed by anesthesia. 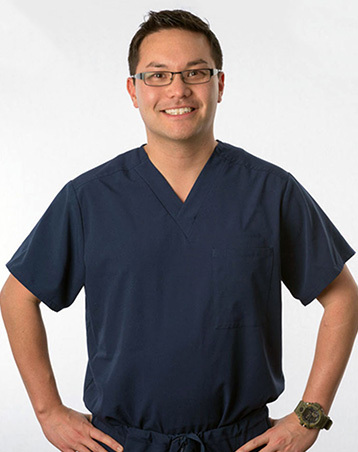 Coastal Pediatric Dental & Anesthesia believes that this vision is a goal that we should also strive for in dentistry. In an effort to help achieve this goal, Dr. Wong and Gerhard Gschwandtner ( a professional engineer, medical gas verifier, and certified healthcare safety professional) published a peer reviewed article in the APSF Journal. Dr. Jan Ehrenwerth, the author of the textbook Anesthesia Equipment: Principles and Application, was the guest editor. 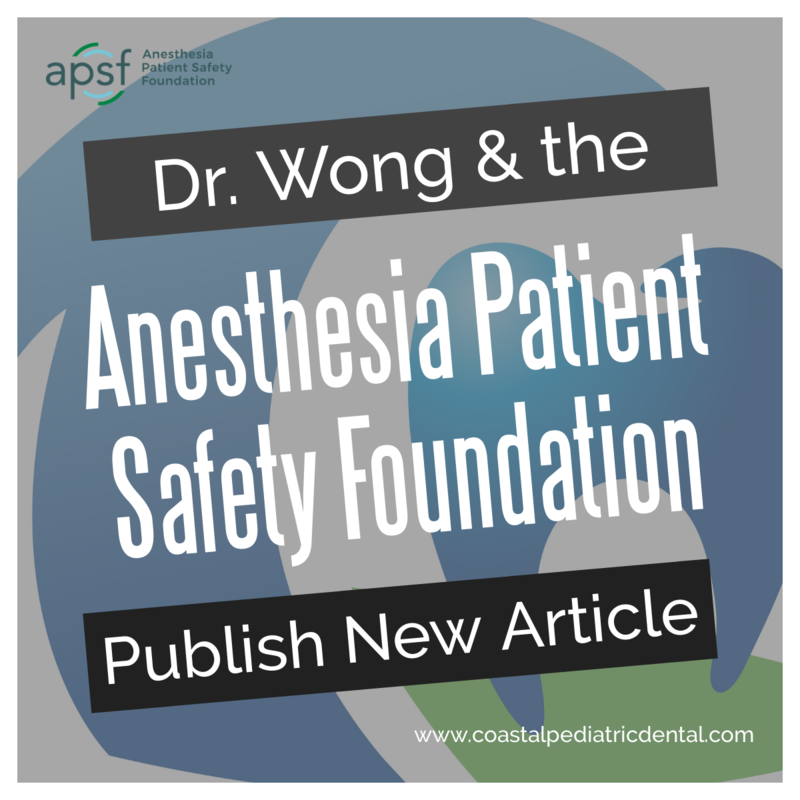 Dr Wong’s Anesthesia Patient Safety article published in APSF Newsletter. An increasing number of patients are requesting sedation & anesthesia for their dental procedures. In dentistry, the sedation and anesthesia is typically provided by the surgeon / operating dentist. However, there is increasing pressure from organizations such as the American Academy of Pediatrics for there to be a separate anesthesia provider. This is despite efforts by insurance companies to save costs by having a single provider. Nevertheless, whether it is a single or separate provider, one of the foundations of anesthesia patient safety is to ensure that the facility is designed for sedation & anesthesia. Dental offices almost universally overlook these design elements. In medicine, facilities must follow the standards outlined in the NFPA (National Fire Protection Association) 99. However, up until the latest 2018 edition of NFPA 99, a loophole that allowed dental offices to “slip through the cracks” existed. This article addresses the concern of the lack of compliance with these standards. You may read the full article, entitled “Safe Gas Systems and Office-Based Anesthesia,” here at the Anesthesia Patient Safety Foundation Newsletter. Dr. Wong would like to thank is co-authors and editors for their immense assistance in publishing this article in the Anesthesia Patient Safety Newsletter. We built Coastal Pediatric Dental & Anesthesia on the foundation that adherence to NFPA 99 in dental offices providing anesthesia is a cornerstone of anesthesia patient safety. If you would like to see more, you can check out our NFPA Category 1 facility.